Getting cash back from your credit cards can make you feel like you are getting free money, which is why it is an important factor when choosing your card provider. But do you know that if you want more stellar cash back credit card rewards you can make and save even a lot more? Everyone needs a little boost financially—whether a family man supporting an extended family or a young lady looking for simplicity and simple life. 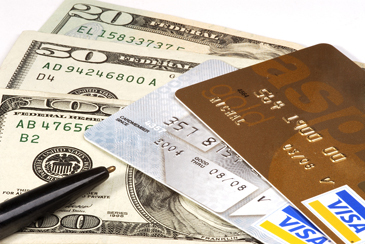 When comparing various cash back credit cards today, the most important features to look at are bonuses and bonus categories they base their rewards, the types of rewards they give, their fair credit reputation, and whether any of your favorite retailers partner occasionally or permanently with the provider to offer special deals. Once you make your choice and sign up with the ideal provider, consider these simple five steps to get the most of your cash back credit cards. Nothing hurts a credit card than a deteriorating credit score. Credit card companies are happiest and serve best when cardholders pay their bills on time and redeem their cash backs often. To improve your credit score and get the most cash back, you must know what factors affect the score and what you must do to keep it that way. Check the fine print on your card’s policy to know how the reward program works and what consequences there are of having a bad credit score. If you are used to a rolling balance, you will be disappointed to know that it is the worst enemy to the cashback system. If you are not careful, you may end up paying more in interests than the value you get from the rewards program. For instance, if your credit card earns 1 percent back on everything but has a 16 percent annual rate, charging $500 on it costs you $5.33 in interests when you only get a cash back of $5. You must be disciplined in handling your finances to take advantage of the cash back. Because you will not be earning any rewards when you hold off charging the card for a month to pay the previous month’s charges, you must put an effort to pay off your balance in full at the end of every month to get every cent you are awarded. Once you begin to see your cash back accruing, it is likely that you will get the urge to spend more and this is a dangerous thing. Many cardholders end up buying more than they plan to maximize on a promotion or to qualify to get a special reward. Before you swipe, pause and think. Are you buying something you need or are you blindly collecting points on your cash back credit cards? Then remind yourself that you will be richer if you don’t buy it at all. Beware of enticing sign-up bonuses offered with spending thresholds e.g. when you are required to spend $1,000 within the first three months to get a $100 cash back. It is normal for different cash back credit cards to offer higher earning potential for particular categories or niches but it often depends on how good your timing is and how actively you participate in looking for special offers. When making your budget, you can find out which retailers your provider has partnered with in the past in which promotions to find out whether you can schedule your biggest purchases appropriately. It is also a good idea to find out whether registration is required for certain offers you are interested and use social media to keep track of various seasonal offers. Again, if you are the kind of person who hoards cash back rewards in the hope of redeeming someday in the distant future, you may need to change your strategy when using cash back credit cards. Depending on the fine print of your card, the cash backs you get may have an expiration date and when they do they become worthless. According to a survey by Bankrate in mid-2015, most cash back credit cards today come with expiration ranges of between three to five years. Cardholders are often advised to redeem their cash back annually e.g. during the holidays. These are the five things you can do today to make the most of your cash-back cards, I hope you find them useful.